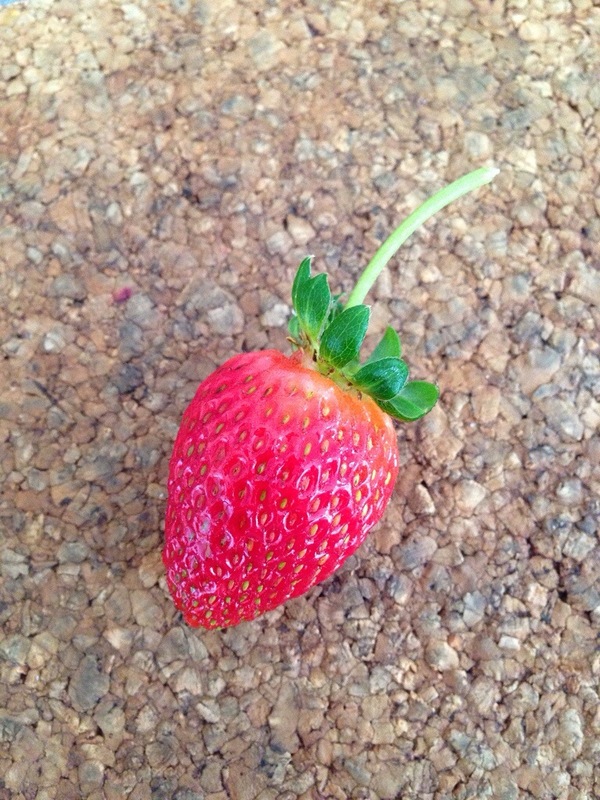 This little solo baby below is the very first strawberry I have picked from our strawberry patch – it was the only fully ripe one there. I could have left it on the plant a few more days to ripen out the remaining pale flesh near the cap, however I couldn’t bear the thought of letting the birds get to it first. It had a good texture – not too powdery as some home grown varieties turn out – and not the ‘unripe’ firm that you get with out of season store bought ones. Taste – mild to moderate strawberry flavour – definitely not devoid of it it but definitely not musky and strong. You can smell it’s aroma by just putting it up to your nose though. Sweet – out of a scale of 1-10 – 10 being the sweetest (say.. a lolly) and 1 being sweet-less (say.. lemon juice) I would rate it as a 5. Hopefully as the sun comes out next week, more will ripen and be sweeter.